We regret to inform you that Ricoh has issued a price increase. Effective on January 3, 2012, Ricoh A3 printer models and associated accessories will reflect a 5% increase from the current suggested retail price and distribution price. A4 laser and Gel printers will have no change. All consumable parts and supplies will reflect a 3% increase without exception. According to Ricoh, the increase is due to the ongoing appreciation of the Japanese Yen. We would like to thank you for your continued business and look forward continuing to serve you needs. Market-research firm International Data Corporation (IDC) reports that the worldwide hardcopy peripherals market grew 1.6 percent in the third-quarter 2011 versus third-quarter 2010. According to IDC, over 31.3 million units were shipped in third-quarter 2011, versus 29 million units shipped in second-quarter 2011. MFPs continued to dominate the market, accounting for 66 percent of units shipped. Color-laser MFPs saw the biggest growth rates with year-over-year growth of 24.1 percent. According to IDC’s Phuong Hang, program manager for the firm’s Worldwide Hardcopy Peripheral Trackers, most vendors’ production has recovered from the March 2011 earthquake and tsunami in Japan. However, Hang expects the market to remain flat for the remainder of the year due to growing concerns about the economy. 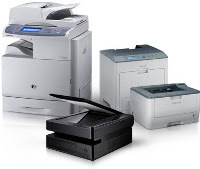 - The ink-jet market, and more specifically the color inkjet MFP market, is still the technology that holds the majority share of the hardcopy peripherals market, with over 19.6 million units shipped worldwide in the third-quarter, 16.1 million of which were color ink-jet MFP units. - Monochrome laser devices continued to rank second in units shipped (8.6 million units), with 29 percent share of the hardcopy peripherals market. All regions except Western Europe and Middle East and Africa saw year-over-year growth in monochrome shipments. - Color laser devices retained 6 percent share of the hardcopy market in third-quarter 2011 with 1.8 million units shipped. The MFP penetration at 51 percent and year-over-year growth of 24 percent for the color-laser market beats these same metrics for the monochrome-laser market, which are 43 percent and 17 percent respectively. - Hewlett-Packard / HP remained the number-one ranked vendor in third-quarter 2011 with worldwide market share of 42.9 percent and 13.5 million units shipped. The Americas region was strongest for HP in terms of unit growth, with 21 percent year-over-year growth, followed by the EMEA and Asia/Pacific (excluding Japan) (APeJ) regions with 13 percent and 9 percent growth respectively. HP’s worldwide year-over-year shipment growth was 0.8 percent. - Canon maintained its position as the second-ranked vendor, with worldwide year-over-year growth of 5.2 percent. This performance was driven by 8 percent year-over-year growth in the APeJ region. - Epson held onto the number-three position worldwide. Despite seeing year-over-year increase in the Americas, EMEA, and APeJ, Epson had a decline of 9.4 percent year-over-year in the worldwide hardcopy market, and lost one point share from a year ago to 12.6 percent share in third-quarter 2011. - Samsung strengthened its position as the number-four vendor in the worldwide hardcopy market with 5.7 percent share, up one point from a year ago. Samsung’s worldwide shipments grew 8.3 percent year-over-year and it recorded shipments of 1.8 million units during the third quarter. - Brother rounds out the top-five worldwide vendors with more than 1.7 million units shipped and 5.5 percent market share, unchanged from a year ago. The vendor's shipments grew 7.5 percent year-over-year and it posted positive shipment growth in all regions except for the United State. Visit our redesigned web store for high quality printer and MFP inkjet cartridges and laser toner cartridges. 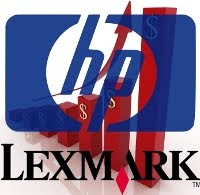 Please be aware that Hewlett Packard / HP and Lexmark recently announced price increases effective January 1st, 2012. Priceless Ink & Toner Company must react accordingly with a price increase effective January 1st, 2012. HP will increase the price of toner cartridges by approximately 2%. In addition to the 2% increase, HP will increase list prices on twenty-seven (27) select HP legacy toner cartridges from 12-17%. This announced increase does not include ink. Additionally, HP is increasing the price on select parts, drums, and maintenance kits. According to HP, these price increases are in response to global economic conditions, including currency volatility. Lexmark is announcing an inkjet and laser supplies price increase of 3-7% across the majority of their product line. According to Lexmark, they experienced a higher than expected increase in supplies product costs, specifically materials and transportation. You can always consider buying our Earth Friendly alternative printer products. We at Priceless Ink & Toner Company are prepared to discuss your specific needs and as always, we appreciate your business.